Édouard Escoyez, prior to joining Keyrus in 2015, worked 16 years for major multinationals. Throughout his career, he has built a wide range of expertise and knowledge defining and delivering analytics solutions in the Banking, Biopharma, FMCG and Chemical sectors. 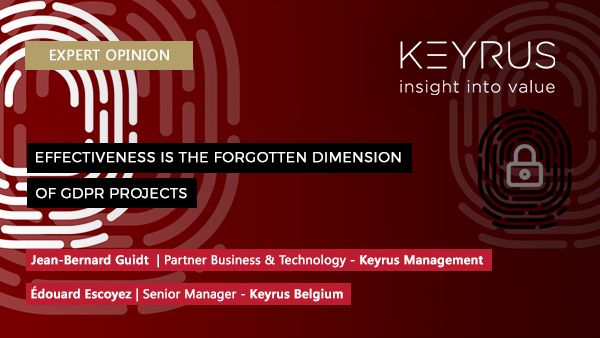 Within Keyrus, he is in charge of both Advisory and Implementation in the BI, CPM and Data Governance domains. He is also responsible for the GDPR offer in Belgium & Luxemburg.